I just finished finals, so now I feel I can do some reading and writing that’s not school related! And I have played quite a few games lately too. I finished Nier probably a month ago. I whipped through it, getting all the endings in about a week. Meaning this was definitely not a game I had trouble progressing. The game felt a lot like I was playing an JRPG from the PS1 days, and I mean that in the best possible way. I wish more JRPGs felt like that today. It is definitely one of those games where I'm glad I just ignored the reviews and played for myself. 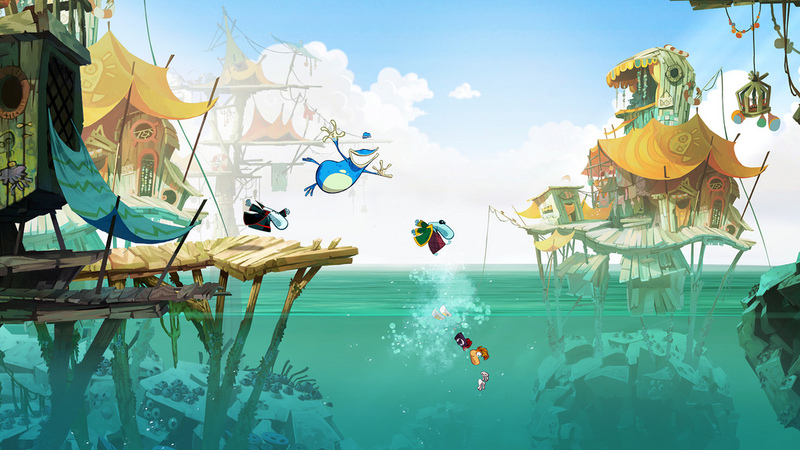 I’m close to finishing Rayman Origins and, being a fan of the original Rayman, this game is almost every thing I could have wanted from a sequel. The visual style is a worthy improvement from the original that still looks great more than 15 years later. Thankfully, the game isn't a brutally hard rage-fest this time. Although I do miss the thrill of besting a tremendously tough level. I also have to say this game was born to be a portable game. The game works best in short bursts, I think. So if you own a 3DS or a Vita consider those the versions to get (though I bought it for the PS3). Here’s hoping they already got a sequel in the works. Other games I beat include Escape from Monkey Island for PS2, Vanquish, Ninja Gaiden Sigma 2 – the latter of which I decided to play after hearing Ninja Gaiden 3 was a disaster (I needed my Ninja Gaiden fix). I’m also rearing to play my fresh copy Soul Calibur IV, which interests me more than the bare-bones SCV at the moment. Again, I need my fix! Later 1uppers!